Closing a mutual fund is fairly easy, but it can prove costly. 3. Do I Have to Report a Capital Gains Distribution if the Money Was Reinvested? Most people invest in a mutual fund after much consideration and for the long term. If the fund fails to perform as expected or your investment goals change, you might want to exit a fund. Whatever your reason, closing a mutual fund is easy. But first you should consider the associated fees, penalties and possible tax consequences of doing so. In that way, you eliminate surprises and can make an informed decision about whether it makes sense to proceed with closing the fund. Determine if the mutual fund you're considering closing has associated back-end fees or deferred-sales charges for account termination. Some have flat-rate fees or termination penalties, while others use a scaled schedule, in which the fees or charges assessed are higher in the initial years of investment and scale down each passing year thereafter. You can find this information directly in your fund's prospectus located on the fund family's website or by contacting your broker or the fund company directly. Determine the tax consequences associated with selling your position. If the fund is part of an individual retirement arrangement or other type of qualified-retirement account and you plan to receive a distribution, the sale proceeds are considered taxable income and will be subject to income taxes, in addition to the Internal Revenue Service's early withdrawal penalty if you're younger than age 59 1/2. Selling a mutual fund in a nonqualified account has it tax ramifications as well, depending on whether you have a capital gain or loss in the fund. Talk with your broker or a tax adviser in advance to determine tax consequences and how they might be mitigated or even used advantageously, such as carrying over a gain or loss to the following tax year by simply delaying the sale until the start of the new year. Weigh the pros and cons to determine if it's best to move forward in closing the account now or to wait until the consequences or costs of doing so are justified or reduced. If it makes sense to wait, you might have the option to sell the shares of your current mutual fund and invest the proceeds in another fund in the same family without incurring additional fees or penalties. Check with the fund family or your broker to determine whether such an option exists. Contact your broker or the mutual fund family directly to initiate the sale of your share holdings if you've decided to move forward. Some require written documentation or instructions, and all require account verification of some sort before initiating any type of transaction. Depending on the type of account that holds your fund shares, you may be able to initiate the transaction online. Specify what is to be done with the sale proceeds. Note whether they are to remain in the current account for use in other investments, especially in the case of a qualified retirement account, or should be transferred to another brokerage account or distributed to you directly. Your broker can provide the documents necessary to facilitate the direct transfer of funds to another brokerage account. Distributions made directly to you are usually sent by regular postal mail, but they can generally be wired to an account or express-mailed for a fee. Keep all account and transaction records for tax purposes. You'll need your cost basis and records of all purchases, dividends and interest earned -- and generally reinvested -- and any distributions. Contact the fund company direct if you need copies of this information before closing the account, as many discard the information once an account is closed. 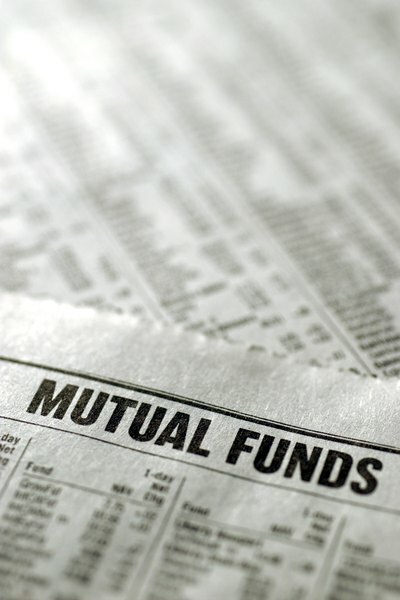 Mutual funds are priced once a day after the close of the market. Orders entered before the mutual fund family's cutoff time are processed the same day and some close as early as the same day. Some are processed several days after the actual sale transaction. Proceeds are generally available to be sent the next business day following the trade close. What Is the Penalty if You Close an Investment Account?